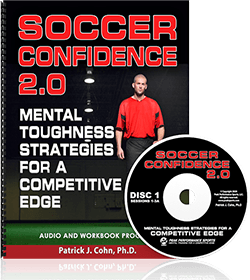 As a soccer player, you are often told all the benefits of mental training and how mental training can improve your confidence, focus and overall game. Some soccer players rely on the top-level physical abilities (speed, quickness, ball handling, etc) to produce victories in games. Many elite-caliber players have experienced a lot of success due to their advanced skill sets, so they have a “why-mess-with-success” mentality. 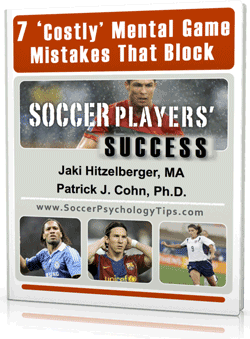 Soccer is a mental chess match where your mind does more work than your feet. Let’s examine England’s National Soccer team and their recent loss to Iceland at the Euro 2016. England is a very talented soccer team yet they have under performed in major world tournaments for the past several years. England has hoped to revenge their disappointing showing at the 2014 World Cup where they failed to advance out of their group. Unfortunately, England lost 2-1 to Iceland, a much lower-ranked opponent, and was eliminated in the Round of 16 at Euro 2016. England scored four minutes into the match, then Iceland responded with two goals in eight minutes and England mentally folded. While many international soccer clubs have added sport psychologists to their staffs, England opted to focus solely on their physical game. England may have been physically ready to compete, but the squad failed to account and prepare for the pressure that comes playing in top tournaments. Sheffield Hallam University professor Ian Maynard is head of Centre for Sports and Exercise, and an expert in sports psychology. Maynard concluded that England choked due to their inability to manage distractions and stay focused in the present. Choking is when your mind interferes with your body working properly. 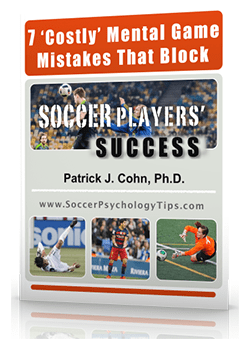 In essence, your conditioning can be spot on… you could be physically healthy and strong… you could have improved your soccer skills and be one of the best players on the field.. But if you do not mentally prepare for competition, there is a good chance that your mind won’t allow your body to do what you have trained it to do. Pick 2 – Identify two areas of your mental game that have held you back from playing your best. For example, England became too focused on the result of the game instead of their strategy for playing the game. 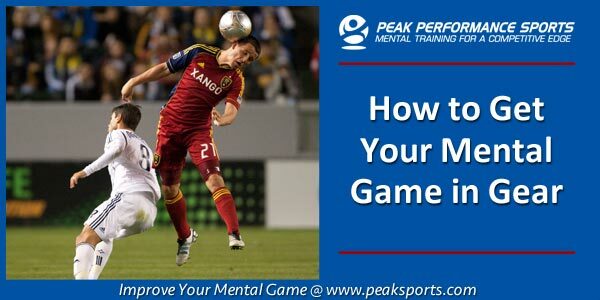 How can you improve this mental aspect of your game? Set a small goal to stay focused on one play at a time and to not get ahead of yourself.